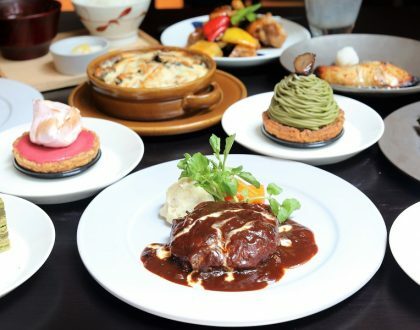 Having Korean Bingsu in a café is a popular food trend in Singapore that looks like it is here to stay for a while. The most basic ingredient for bingsu is shaved ice with milk, topped with sweetened red bean, fruits, nuts and condensed milk or syrup. Am going for healthy… so this home-made version has milk and condensed milk/syrup replaced by MARIGOLD Non Fat Mixed Berries Yoghurt. 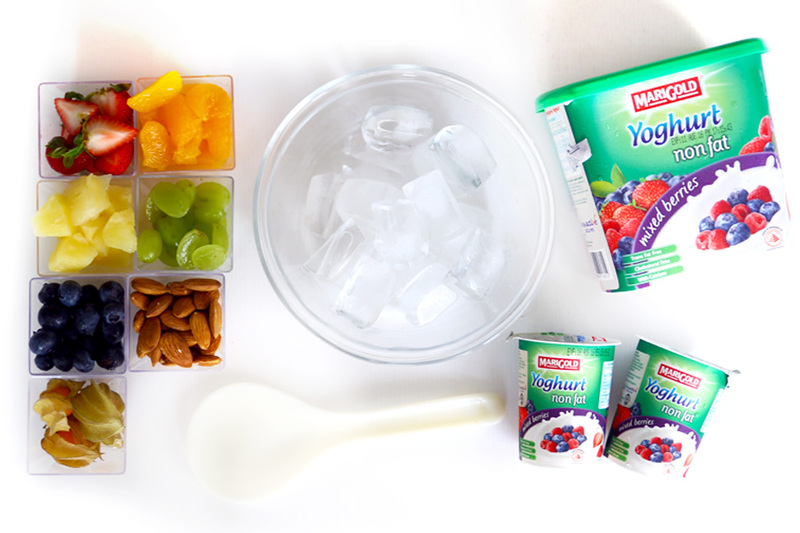 3) add the yoghurt to ice only while blending. 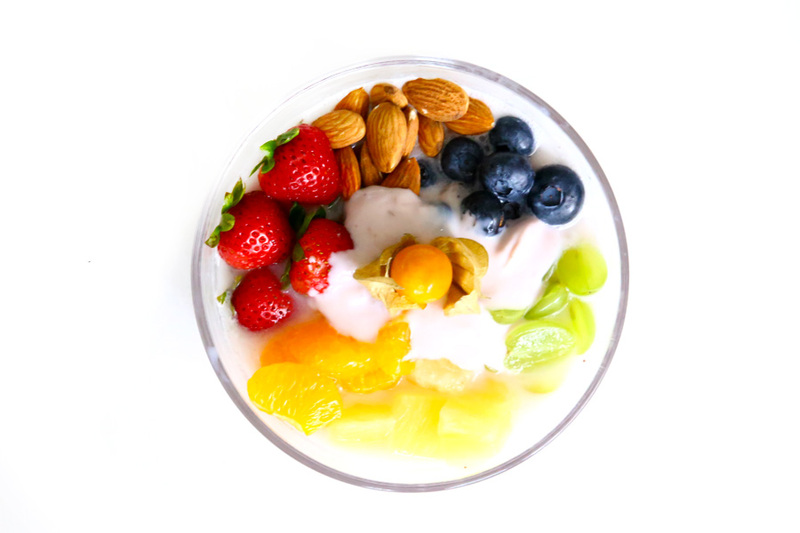 – Toppings, can include fruits such as strawberries, mandarin oranges, pineapple/mango, green grapes, and almond nuts. Optional: gooseberry. 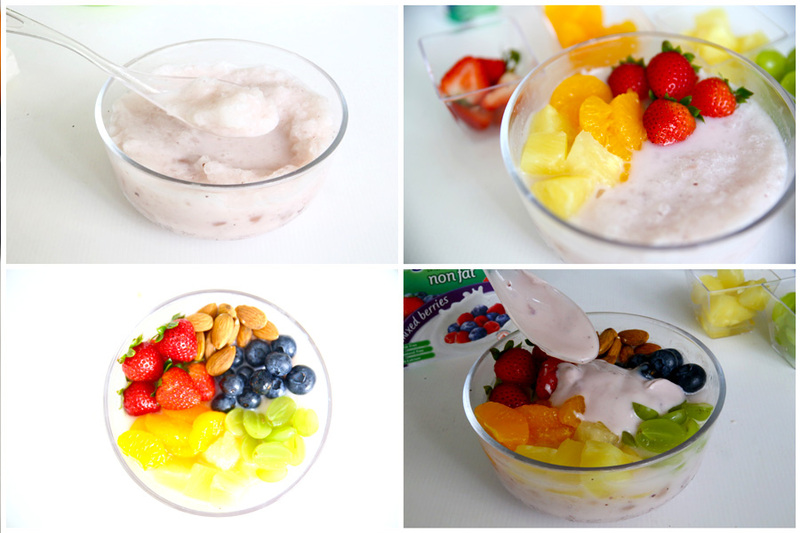 – Put ice blocks into a food processor or shaved ice machine. – Grind the ice for about 30-50 seconds. – Or till the mixture has a snow-like smooth texture. 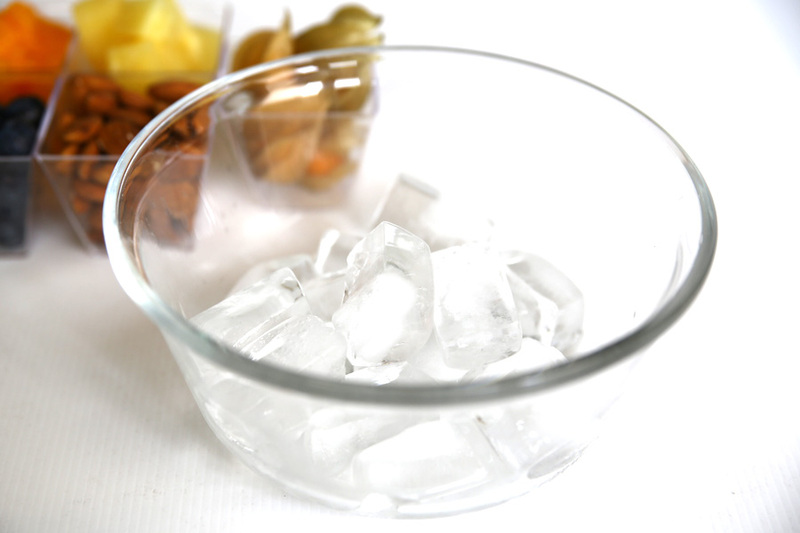 – Empty the ice mixture into a chilled serving bowl. 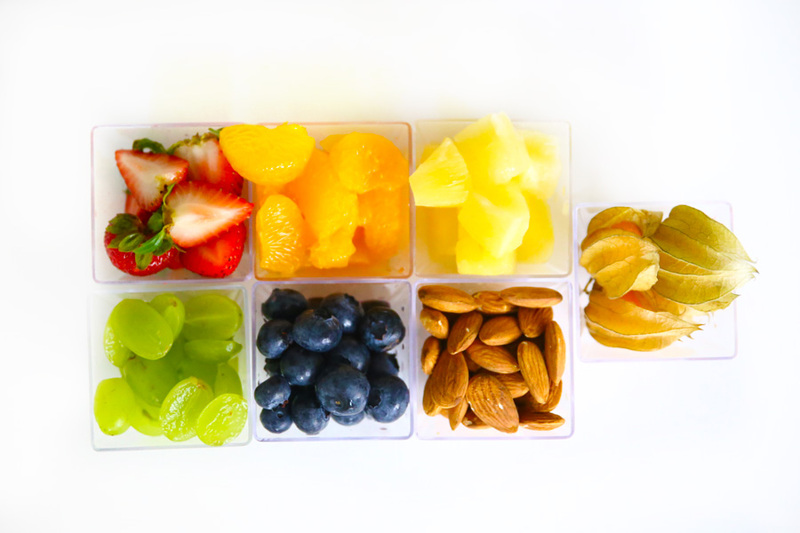 – Arrange the fruits in order of your preference. – The Rainbow fruit ‘Bingsu’ is ready. – As an option, drizzle some yoghurt on top and include a gooseberry for further decoration. You may ask… isn’t this “ice kachang”? Well… kind of. 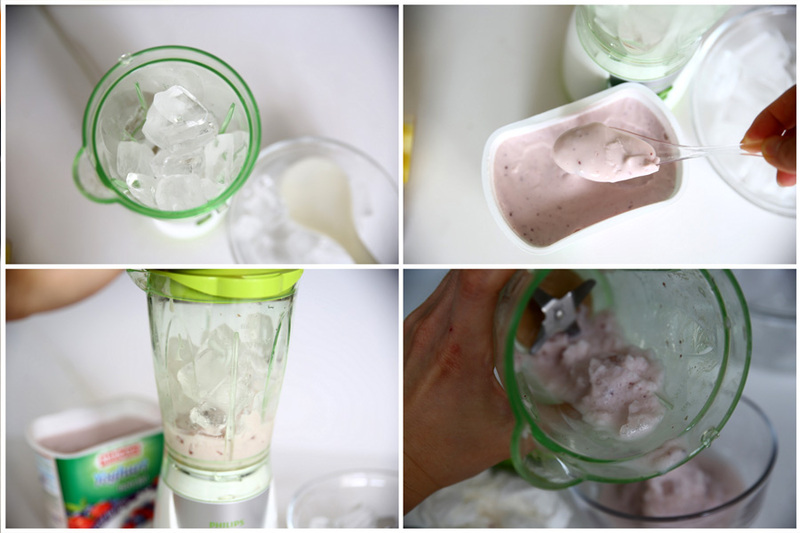 Having yoghurt blended with ice gives the shavings a fruity taste, slight creamy consistency. I chose not to add any ice cream or syrups into this bingsu to keep it healthier. Of course, feel free to top it up with a scoop of ice cream if you enjoy that additional creaminess. 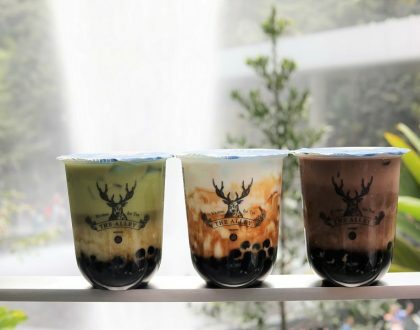 Quite a shiok dessert to have this during the hot weather, right in the comfort of your home. 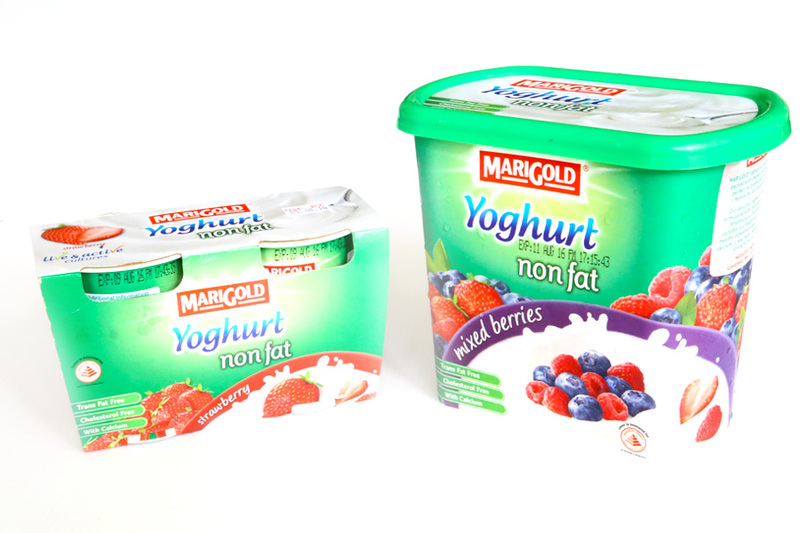 MARIGOLD Yoghurt comes in both Low Fat (blue coloured packaging) and Non Fat (green coloured packaging). 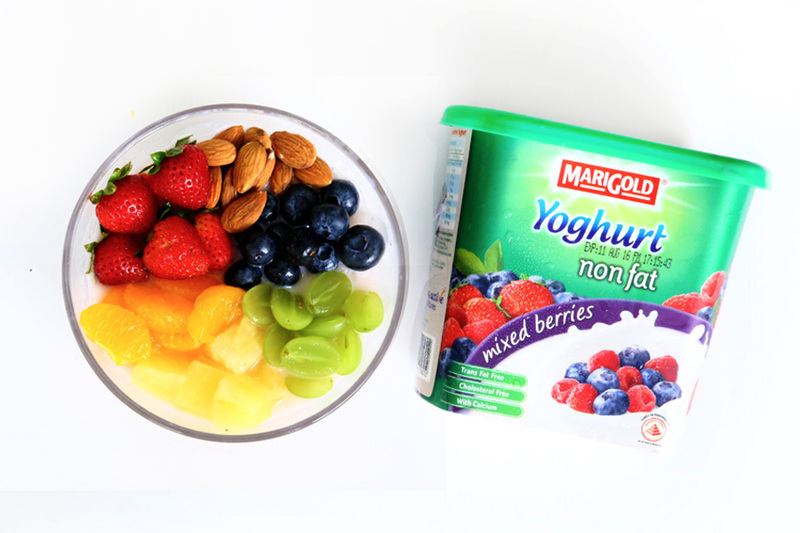 MARIGOLD Non Fat Yoghurt is available in 6 delightful flavours – Natural No Sugar Added, Mixed Berries, Peach Mango, Strawberry, Blueberry and Aloe Vera. 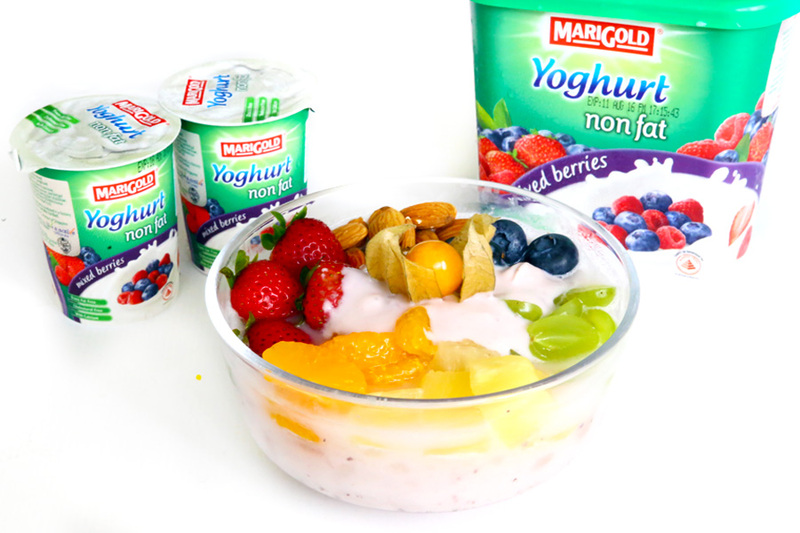 What’s more, MARIGOLD Yoghurt is packed with Probiotic Cultures and Calcium, blended together with the taste of real fruit chunks (only the fruited ones) to get your daily boost of Probiotics for a healthy digestive system. 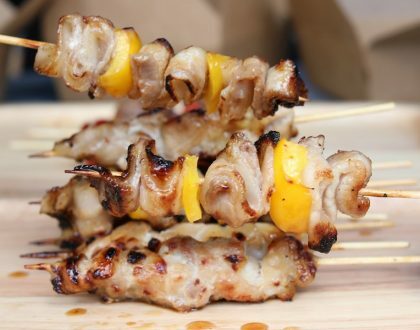 Local celebrity Chef Eric Teo has also contributed recipes, which includes MARIGOLD Fruit Salad Yoghurt Cheese Cake, Tandoori Chicken with MARIGOLD Yoghurt. Have fun experimenting! * This entry is brought to you in partnership with MARIGOLD.